Eliminates one of the primary areas of inspection failures, the load-side wiring. 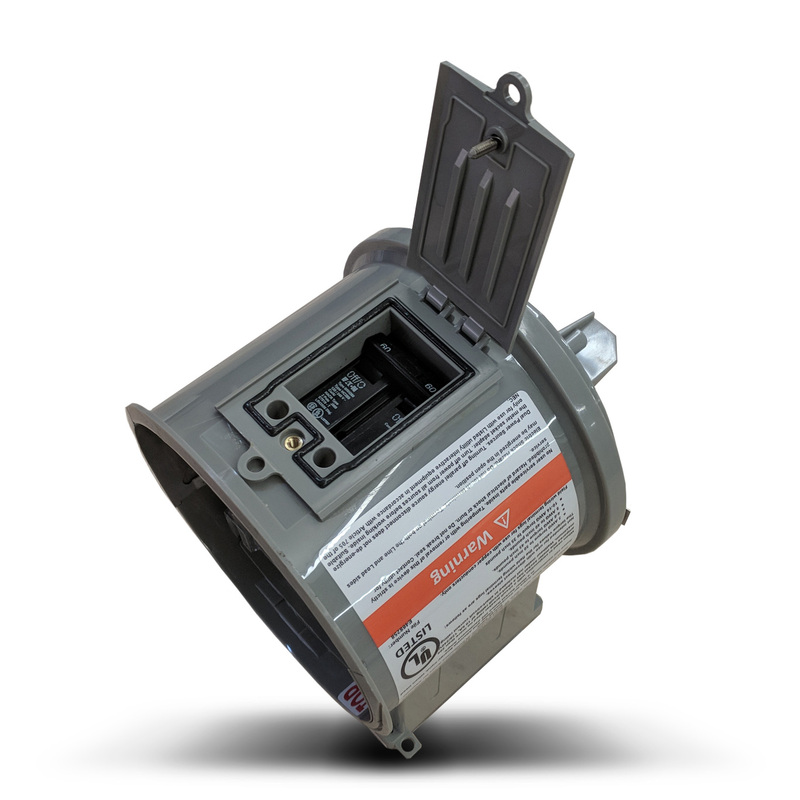 It comes in two versions: the Simple ConnectDER™, which provides the basic connection, and the Smart ConnectDER™, which adds metering and management functions for the local utility. 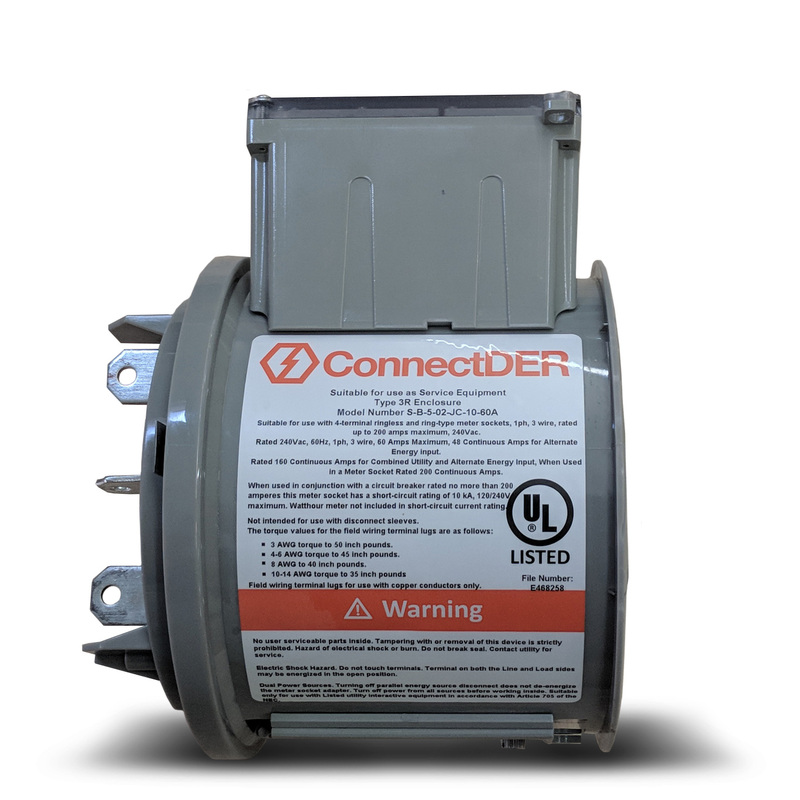 The Simple ConnectDER™ is UL Listed equipment that enables rapid interconnection of grid-ready distributed energy resources (DERs) like solar photovoltaic (PV) systems. The device creates a safe, standardized, low cost alternative to traditional wiring methods. The product is a collar that is installed between a standard 2-phase residential electric meter and a meter socket case. The collar is equipped with two an electrical interface in a terminal block, which connects to the circuit below the home’s metering point. Solar PV is connected to the grid by wiring it to the terminals. The collar also includes a circuit breaker on the DER circuit sized to the output of the DER. 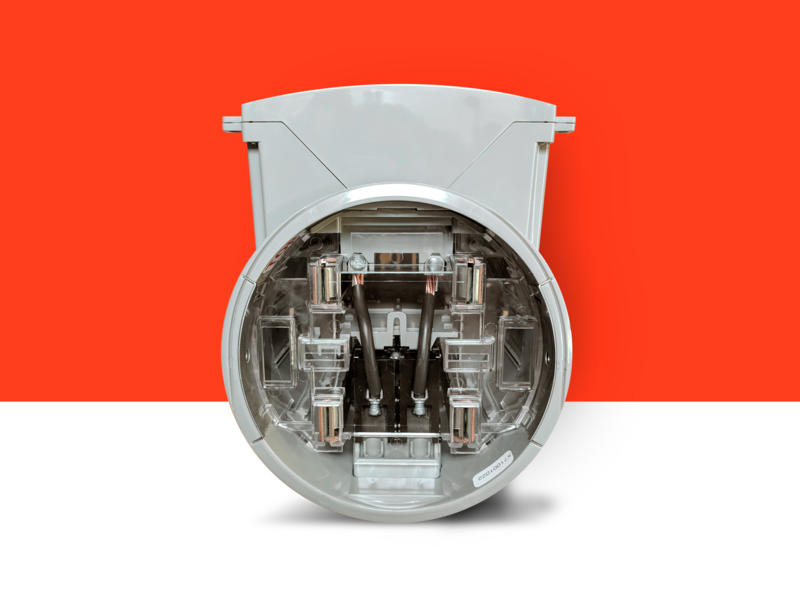 The Simple ConnectDER™ operates in parallel with the utility grid. It is approved for use with grid-interactive PV systems where the inverter(s) meets UL 1741 requirements. 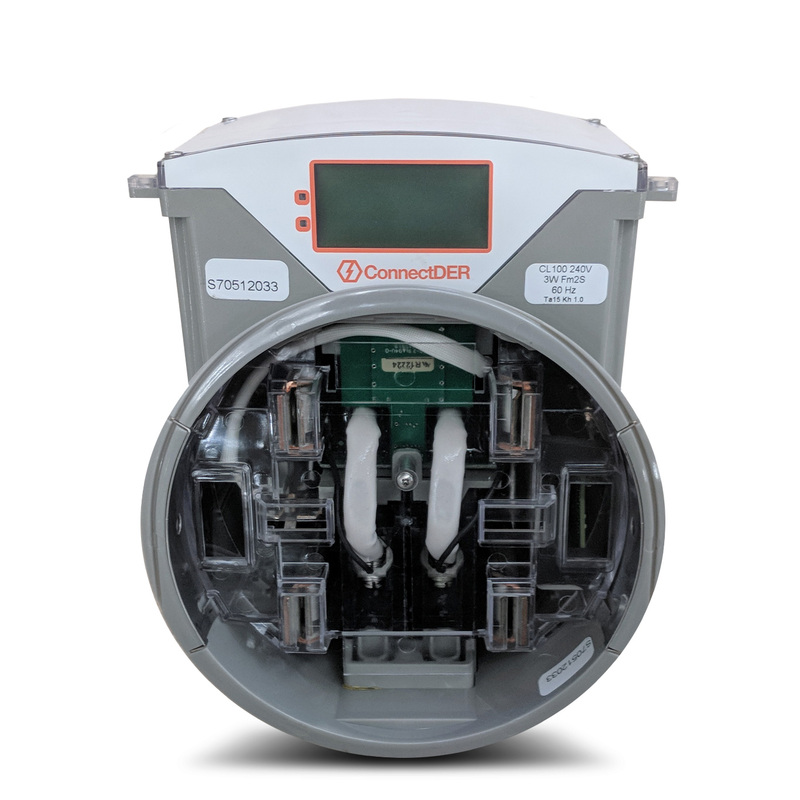 The Simple ConnectDER™ enables three key innovations in the DER installation process: it reduces the time that an electrician or utility representative must be onsite to interconnect the system to less than 10 minutes, it removes the need for installers to enter the residence (in the case of externally mounted electric meters), and it enables easy “swap-in” of future distributed generation resources as they are introduced to the market. To date, over 5,000 ConnectDERs have been deployed to tie PV systems into the US electric grid. 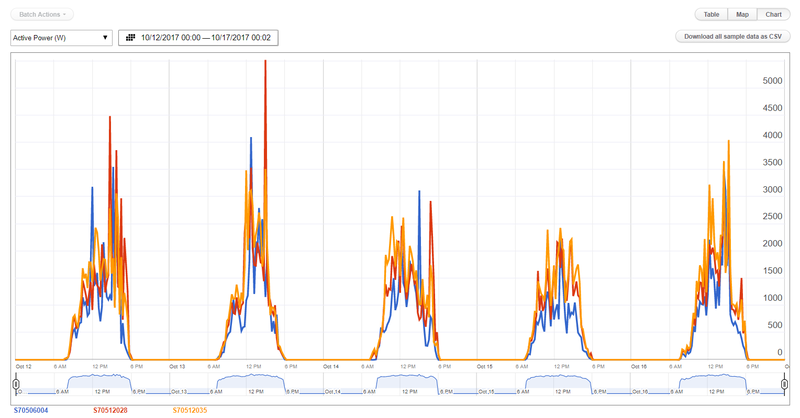 The Smart ConnectDER™ is UL Listed equipment that enables rapid interconnection of grid-ready distributed energy resources (DERs). The device creates a safe, standardized, low cost alternative to traditional wiring methods. It contains onboard metering, communications, and controls to unlock alternative tariff models and grid management capabilities. The Smart ConnectDER operates in parallel with the utility grid. It is approved for use with grid-interactive photovoltaic (PV) systems where the inverter(s) meets UL 1741 requirements. 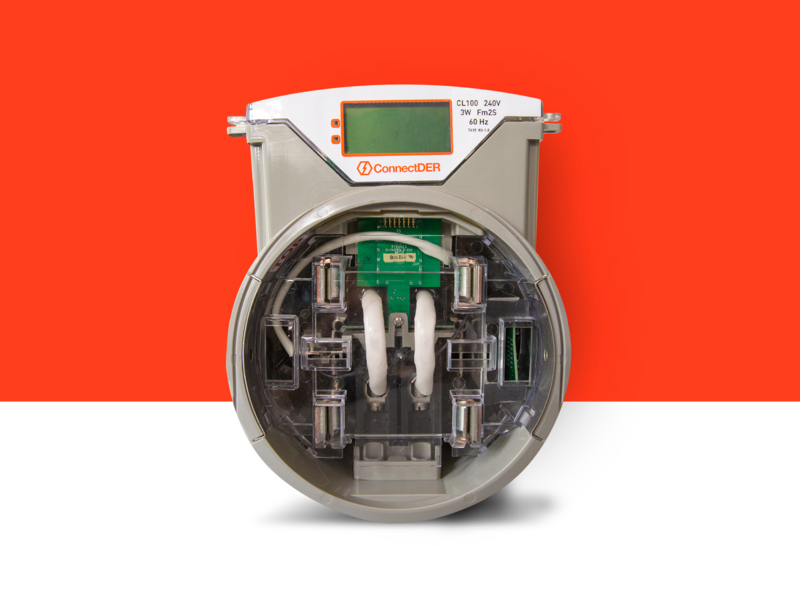 The Smart ConnectDER can be factory configured to terminate DER field wiring to either the load side or line side of the utility meter. Refer to the ConnectDER website for more information. The ConnectDER Cloud™ is an intuitive system that enables fleet operators to retrieve metering and operational data, commission and decommission ConnectDER™ units, manage operating parameters and firmware, and create simple data bridges between various DER types and networked applications like DERMS/DA and REC tracking databases.